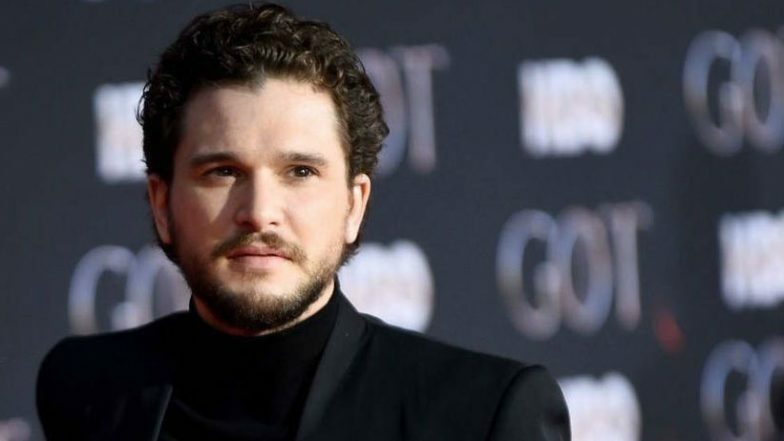 Los Angeles, April 16: Actor Kit Harington says he sustained an injury while filming the final season of "Game of Thrones". In "Game Revealed", a behind-the-scenes video released by HBO, the actor, 32, described the moment his right testicle was left trapped while filming a key dragon scene, reports dailymail.co.uk. During the scene, Harington, who plays Jon Snow, was left fearing the worst as the mechanical dragon he was sat on made a violent turn and swung the star around. Game of Thrones Star Maisie Williams Had to Wear Strap Across Her Chest to Reverse Puberty. "In my head, I thought, 'This is how it ends, on this buck, swinging me around by testicles, literally'. Sorry. Probably too much information." The eighth season sees Daenerys Targaryen, played by Emilia Clarke, teach Jon Snow how to train her dragons. It features a mechanical dragon swinging the actors through the air. Game of Thrones 8: Hilarious Video of Euron Greyjoy Mimicking Shah Rukh Khan’s Iconic ‘Palat, Palat, Palat’ Dialogue to Cersei Lannister Goes Viral.